Here are some business cards that we have created for our customers in the legal professions. 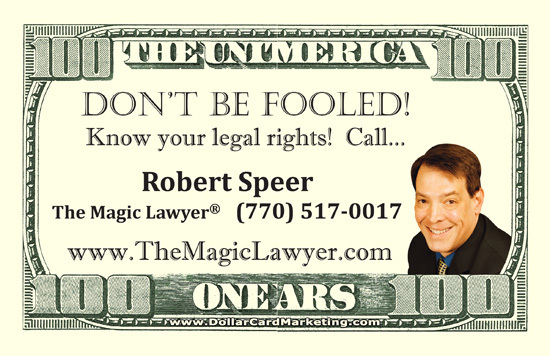 Here’s a set of 100 dollar bill business cards that we created for Attorney, Robert Speer, The Magic Lawyer. Robert uses these lawyer business cards to replace his traditional card stock business cards.